We value our patients' experience at Back To Health Family Chiropractic. If you are currently a patient, please feel free to complete the following Client Experience Questionnaire. The Questionnaire is in Adobe Acrobat format, and requires the free Acrobat Reader to view. 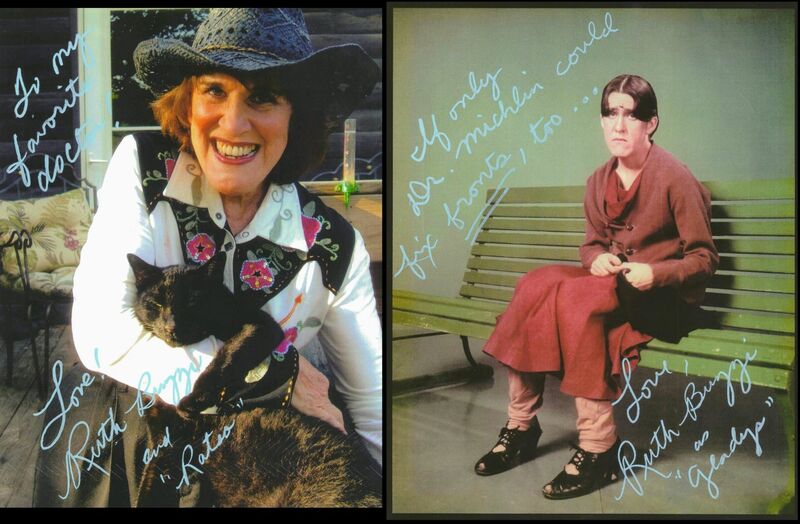 The Queen of Comedy, Ruth Buzzie, says, "Neck and back pain are no laughing matter!" "I have not felt this good in 30 years!" "I feel so much better from the chiropractic care I am receiving at Back To Health Family Chiropractic that I am getting my sense of humor back!!" "I felt like half a cent when I arrived. After the adjustment, I feel like a million dollars!" "I hope I die before Dr. Michlin retires!" "I am so very grateful the Lord led me to y'all!" A 17 year old patient said that she was scared of the adjustment at first, but the care she has received at our clinic has given her her life back! The other day, on a patient's x-rays, Dr. Michlin noticed a possible issue in a kidney. Dr. Michlin recommended the patient get a CT scan to determine what the anomaly might be. He has a renal carcinoma. The patient said to Dr. Michlin, "You saved my life. I can never thank you enough." The care at our clinic is whole body care. It may start with the spine, but it does not end there. Another patient, who is usually full of vim and vigor came in dragging. He was exhausted. His atlas was also out of alignment. Dr. Michlin adjusted his atlas, and the patient excitedly exclaimed how much energy he had immediately after the adjustment. I must say, his increase in energy and mood was incredibly obvious! A patient told us that she came in with a blinding migraine, and she left migraine-free! A four year old patient of ours told his Mom over the weekend that he needed to go see the Bone Doctor! Kids are great! They get it, and they know when they need to be adjusted. He hopped right up on the table and was ready to go! He made our day! When Dr. Michlin asked why he wanted to come in he told him that he had a sore throat and didn't want to get sick. How is that for understanding innate intelligence?! "Sure! It is AMAZING what you do; I know first hand! You correct what is wrong - I feel fantastic after my last adjustment! Things I was told 30 years ago that were 'uncorrectable" you have realigned me to as close to normal as I will get! Absolutely amazing! And if anyone in the metroplex doubts it, email me - [email protected] and I will tell you the straight scoop! Please - don't hesitate! Can you imagine a slight tap in your neck, as gentle as a Q-tip touching you, can realign your entire spine back into place? Dr. Chris is only 1 of 300 in the WORLD that is professionally licensed and trained to do this! If you want the best, go see Dr. Chris! I have laid on his table for a required 10 minute rest and have honestly felt, vertebra by vertebra, my spine move back into place!" A patient had her first adjustment yesterday. She told us she was thinking "How can that little click behind the ear do anything?" This morning, she woke up without a migraine! First time in three months!! We are thrilled to be a part of her healing process! We have a 17 year old patient, who comes in from Bryan (3 hour drive). She has been suffering with severe digestive and skeletal disorders. She could not function. After 2.5 months of care at our clinic, she says she feels a thousand times better, and she went to school today for the first time in three years!!!! One of our patients is a chiropractor in Dallas. Although he has a staff of chiropractors in his office, he still drives to Fort Worth once a week to get his atlas adjusted by Dr. Michlin! Today, he said, "Since I've been coming to see you, my worst these days is better than my best used to be!" How's that for a WOW Factor! Another miracle happened today. We had a 16 year old patient come in for her first atlas adjustment. She has been in pain for years. Her life has been in turmoil since she was 10 years old. No one has been able to help her. When she was lying on the table, she told us that she could feel eight vertebra fall into place! After only ONE atlas adjustment, she said that she did not feel any pain in her back! She said she feels hopeful again! It is a blessing to watch people get out of pain and get their lives back! A patient just told us that he has had nightmares for about ten years. After his very first atlas adjustment, he said he did not have a nightmare and slept better than he has in years and years!! Atlas adjustments help far more than just back and neck pain!! Come on in and find out how they can help you!! After her adjustment, a patient shared with us, "I never thought that just by adjusting my atlas that I would have so much positive change in my full spine! Dr. Michlin is the maestro of my spine!" Your music gets people Back To Health! Hey, Dr. Michlin, and Nancy! My sense of smell came back, and I can taste again too!! That, after getting my atlas adjusted! This is amazing because the only thing I did was get my atlas adjusted. And when I came, I couldn’t even smell the strongest essential oils, at all. "Dr. Michlin has performed his Atlas adjustment on me and it is like getting lightly tapped with a Qtip it is that gentle! Then you lay there to rest and you can actually feel your vertebrae realign! It is amazing! No drugs, no pills, just common sense dynamics of the spine, unpinching pinched nerves! Dr. Michlin just unblocks the nerves and allows the body to heal! I am a 5 time stroke survivor and letting maximum blood flow through my anterior carotids is essential! I don't limp any more, my left foot doesn't stick out like crazy (been like that for 20 years! ), my right thigh I now have feeling in (lost feeling in it 30+ years ago!). I now, after ALL THESE YEARS! walk normally and my back doesn't hurt constantly! He is a miracle worker, believe me!! "I wouldn't tell it if it wasn't 110% true. I've been to other chiropractors for the last 30 years, and have never gotten this high level of treatment and, most importantly, results! He has cleared up what I considered permanent problems that I now find out were not permanent! I can walk upright and straight with no limp! Amazing! I am thrilled!" A 71 year old patient came into our office today using a quad cane. She felt so good after her adjustment that she walked off and forgot her cane!! She was ready to leave our office without it!! Miracles happen every day at Back To Health Family Chiropractic!! An 11 year old patient's Mom was in our clinic crying tears of joy, because her daughter is getting her life back from of the care she is receiving here. When her daughter went through chemo therapy treatments, she started getting migraine headaches. Even after the chemo was completed, she continued to experience migraine headaches - every day for several years. Her headaches have DISAPPEARED since she started her care at Back To Health Family Chiropractic!! What a joy it is to see an 11 year old smile again! "I feel like a kid with Kool Aid! I felt immediate relief after my first adjustment! Three adjustments later, the face pain I get from my Trigeminal Neuralgia has significantly decreased!" "Dr. Michlin has changed my life. He is a God!" "I feel like a whole person again!" "I am a thousand times better!" "Dr. Michlin walks on water!" A patient told us that he has had nightmares for about ten years. After his very first atlas adjustment, he said he did not have a nightmare and slept better than he has in years and years!! A patient was glowing when she came in today. She has not been able to sleep for as long as she can remember because of intense shoulder pain. Dr. Michlin adjusted her shoulder on Monday, and she has slept through the night since. She said she felt euphoric! It was a joy to see her glowing and full of life! A short time after I began care with Dr. Michlin, as I was climbing the steps to his office, I realized that there was a "spring to my steps." I was starting to feel like my old HEALTHY self!! I began seeing Dr. Michlin the end of May 2007. He was recommended by a friend of mine, who is also a patient of his. I had been seeing another chiropractor, who had helped some; but I was not healed. I had what I thought was a strange bump at the top of my neck. I had asked repeatedly about the bump, only to be told it was a swollen facet or gland. The first time I saw Dr. Michlin, he adjusted my atlas, and the bump was gone. I now know that the bump was my Atlas protruding. 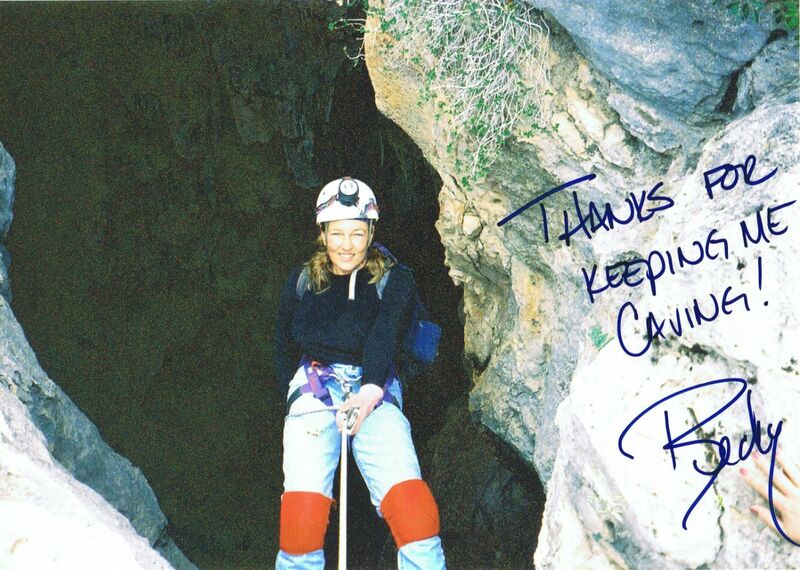 Over the course of my treatment with Dr. Michlin, I continue to improve. From the first time I talked with Dr. Michlin I was very impressed. My husband made the initial appointment for me. Yet Dr. Michlin wanted to talk with me about my condition. He called me on my cell the next day. We talked for probably 20 minutes. I have never had a doctor spend that much time listening to my issues. I was very impressed, to say the least! Since that time, I have continued to be impressed, with not only Dr. Michlin's chiropractic skills, but also his commitment to making me healthy. I have come to realize, not only is he a great doctor, but he is a great human being. "Wow! Dr. Michlin and his partner/wife Nancy are extremely thorough, knowledgeable and friendly. I was referred to Dr. Michlin and Back To Health Family Chiropractic by a friend who had her migraines completely go away after their care. She tried to explain the adjustment but this is one that you really have to experience in order to understand. All I can say is that I didn't feel the actual adjustment but I sure can feel the results! If you need a GREAT chiropractor go see Dr. Michlin!" When Dr. Michlin "gets your head on straight" then 'miracles' happen - your spine is realigned, and all your life current is flowing at full speed out your spine and into 100% of your body. If it isn't aligned properly, then the life current is restricted, and the body's response is pain and numbing. Very simple concept. If you understand electronics and resistance, plumbing and reduced water flow, gardening and pinching off a flower stem, you can understand your body and keeping your spine straight - that is where all the electricity, the life current, comes from. You open that up, allow it to flow, the pain goes away and allows you to heal and get well again. So simple, but we "live" with these bodily restrictions instead of getting them corrected, all the while our tissues are deprived of our life current and wither away. Dr. Michlin has the knowledge and tools and extensive training to correct the problems of your life current and restore you "Back To Health"! Dr. Michlin is excellent. He is gifted at identifying specific problems and truly tailors the treatment. (He is also the only Chiropractor around with an additional specialization in Atlas Orthogonal treatment.) He is thorough, attentive, and takes his time to ensure best results. You will find he provides the best value for your health care dollar because he is so effective! He provides guidance from a holistic approach and is both insightful and knowledgeable. His business partner/spouse, Nancy, runs the front office; and the atmosphere they have created is truly renewing! I knew if anyone could help my father become pain free it was Nancy Michlin's husband, Dr. Chris Michlin. While my dad may have been a skeptic patient at first, he is now a firm believer in Dr. Michlin. In a very short time he was able to discontinue use of a walker and cane. Thank you Chris for restoring my dad's active lifestyle! I've always been leery of chiropractics, but I had reached the point where everything hurt, including my hands. I'm an editor/writer who is on the computer all day. Plus I was beginning to see a slouch in my posture in pictures and knew it was time for some help. Back to Health Family Chiropractic has been that help I was seeking. Dr Chris Michlin and the Atlas Orthogonal approach to healing the body is gentle and has been just what I needed. I love the gentle adjustments and supplemental nutritional support to heal the whole body. I had a picture taken last week, and I noticed the slouch was gone! The horrible pain in my hands is so much better! I don't have the terrible pain and ache at the end of my work days. Thank you Dr. Chris! I've never had treatment at Back To Health Chiropractic, but I have toured the facility and it's first class. Very modern and professional. If I ever need any chiropractic help, I will go to Dr. Michlin and Back To Health Family Chiropractic....I trust them! Dr. Chris and Nancy are a super team and very committed to health and healing! You won't be disappointed! Back to Health Family Chiropractic is truly a family clinic that is dedicated to helping others. Dr. Michlin is a very dedicated Chiropractor and his business partner/wife Nancy is very dedicated in assisting him. They work very hard in making sure they give the best care possible by using up to date techniques and constantly learning how they can better serve their clientele. They focus not only on the Chiropractic part, but on total well being and making sure their clients know how else they can achieve their goals; becoming healthy and stay healthy. A chiropractor must have several attributes. He needs to first be well trained. Second, he needs the patience to listen and understand his patient. He must be strong yet at the same time gentle. My problem has always been that chiropractors hurt me Not Dr. Michlin. Dr. Michlin has all of these attributes and more. Give him a try! You will be healthier ( and perhaps even pain free!) I guarantee it. After a weekend of helping friends move my back was sore. A visit to Dr Michlin proved to be smart move. I walked out of the Back to Health Clinic pain free! WOW!! Dr Michlin delivers results. Thanks so much. I feel great after going to Back To Health! Dr. Michlin and his business partner Nancy have created a healing environment and the best possible care! After getting care there, I am able to smile again! I recommend their clinic to EVERYONE who wants optimum health!! Dr. Michlin helped my wife with her migraine headaches and they are gone!!! Best money I have ever spent!! WOW! This is the place to get your bodywork done! I'm Looking forward to leaving my back pain at your office! See you soon! Dr. Michlin is beyond skillful. He is a gifted chiropractor and health care provider!! He will get you out of pain and BACK TO HEALTH!! !